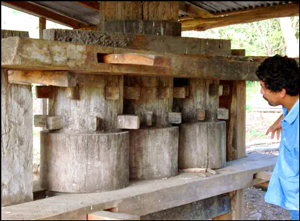 Finca Java, S.A. was created to provide a vehicle for responsible development. We are creating opportunities for land ownership that are socially, and ecologically responsible, benefits not present in traditional investments. The land would actually produce a positive return on agricultural production alone. We are committed to organic systems which protect the environment and our health. Too many of us are witnessing loved ones dying from cancer due to chemically contaminated food production. These systems also support and protect the eco-systems our grandchildren will depend on. We are also committed to building a social infrastructure that would support increased productivity in a climate of cooperation. Our group of investors includes some of the most visionary and accomplished ecological land use professionals, agronomists and agricultural experts available anywhere. We are all committed to this long term, successful business strategy in an environmentally and socially responsible way. 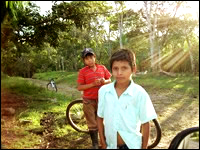 Finca Java is operating in the Apanas Lake region, one of the most beautiful places we have ever seen. 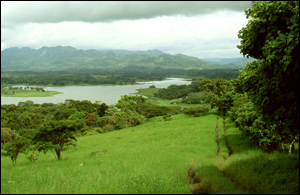 Located 80 miles north of Managua Capital city, the lake is at 3,000 feet elevation and the mountains around it rise up to 7,000 feet. It was created as an artificial lake to provide hydroelectric power to the area. 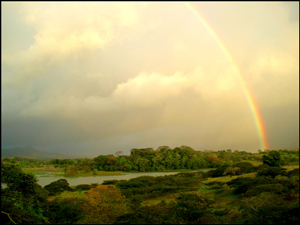 The area enjoys a wetter climate than much of Nicaragua, and stays green year-round. It is ideal for growing coffee. Many of the farms that we are acquiring currently have organic coffee on some part of the land. 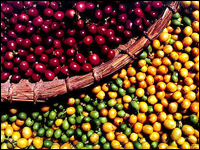 Coffee is the most viable cash crop; although all manner of vegetables and fruits can be grown in the region. Annual agricultural returns of up to fifty percent on investment are feasible. A model prospectus is included herein. This area is poised for the development of bed and breakfasts, hotels, lake front restaurants, recreational facilities, as well as building lots and homes to serve the eminent arrival of baby boomers looking for the ideal spot to retire in. The potential for return on this level is unlimited. July 2011 – Planting season begins! The holiday season was welcomed with high spirits this year on the farm. John Thompson recently returned from Atlanta and the Specialty Coffee Association of America’s annual conference at the GA World Congress Center. President Daniel Ortega showed up at the farm by helicopter to give a speech on self-sustainability and organic agriculture! We hosted a party for the outgoing mayor and all associated dignitaries this weekend at El Peten. 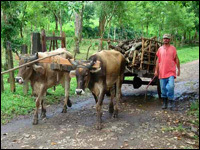 Eighty-five agricultural engineers different countries descended on Finca El Peten for a diplomado on the merits of Permaculture.